On the new album by Seattle folk-rock stars The Head and the Heart, “Signs of Light” (due Sept. 9), violinist and singer Charity Rose Thielen stitches a long, soul-searching narrative quilt, “Library Magic,” which looks back at the tumultuous history of a group returning from a much-needed breather. It’s a hopeful song on an endearingly hopeful album, but given what’s actually going on with the band, it’s a serious leap of faith. When THATH goes on tour (they’re at the Paramount Nov. 5-7), it will be as an abbreviated five-piece, since singer and guitarist Josiah Johnson is at home, in recovery from drug addiction. Thielen has an inspiring songwriting credit with Mavis Staples (“If It’s a Light”), and the band’s fetchingly catchy single, “All We Ever Knew,” has notched No. 1 on the Adult Album Alternative (AAA) Billboard chart. 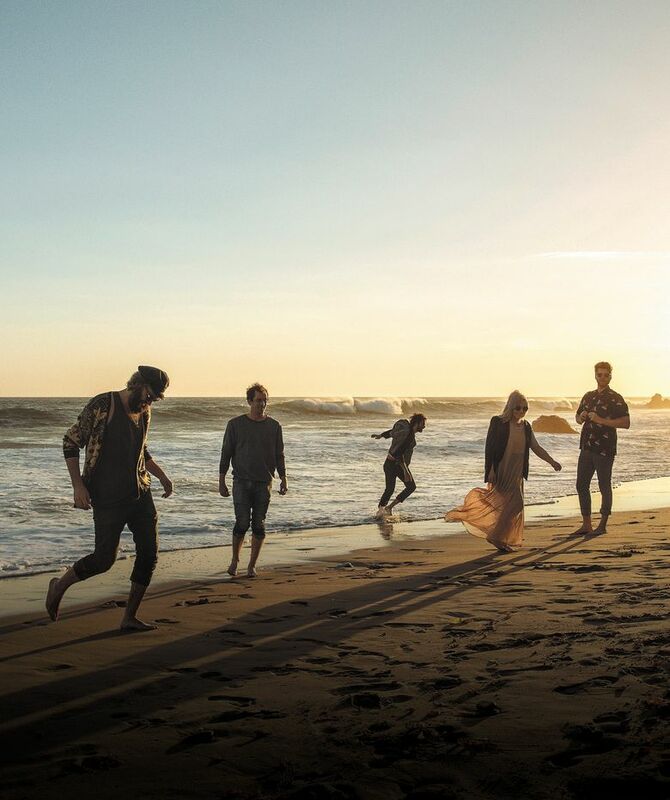 The Head and the Heart formed in 2009, when Johnson, raised in Orange County, Calif., hit it off with singer-songwriter Jonathan Russell at an open mic at the Ballard Irish bar Conor Byrne. Russell and drummer Tyler Williams had come from Richmond, Va. Seattleite Chris Zasche was recruited to play bass; Thielen, from Lake Forest Park, violin; and Californian Kenny Hensley, piano. The band’s first album was picked up (and reworked) by Sub Pop, which propelled the band’s second one, “Let’s Be Still” (2013) into the Billboard albums Top 10. The two albums have sold 650,000 copies combined. “Signs of Light” is the band’s first effort for a major label, Warner Bros. Though it occasionally slips into overenthusiastically jangly, synthetically textured production, it is far and away the most accomplished and organically coherent of its career. The zippy opener, “All We Ever Knew,” which the band sang on “Roadies,” was a natural opener, says Thielen, since it bridges THATH’s folksier, early sound and the rocked-out attitude of the new album. They finished the song just in time for the TV show, which was a blast to do, says Thielen. Russell’s “Dreamer” is another high point, a triplet-driven, slow-dance rock ’n’ roll song (think “The Great Pretender”) with an odd chord progression and sonic distortions that reflect Russell’s recent infatuation with jazz. 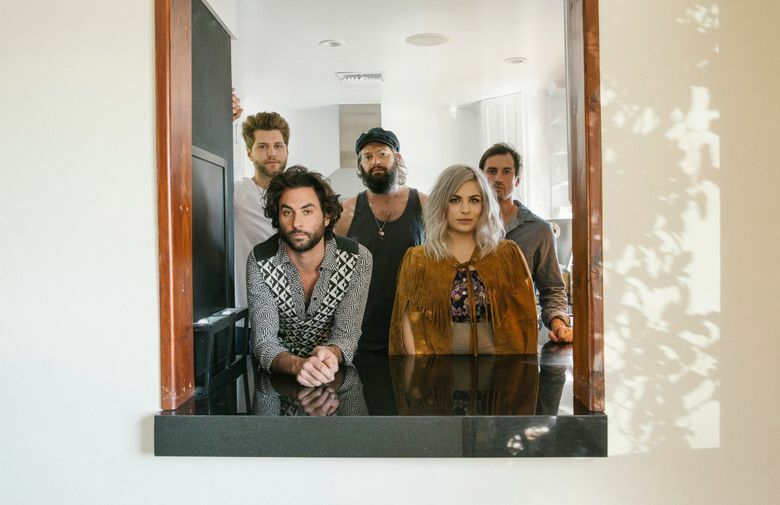 The Head and the Heart doesn’t normally record cover songs, but the band made an exception for the shimmering, atmospheric “False Alarm,” written by their friend Matt Hopper. “Colors,” a breakup ballad about a relationship Russell returned to in Virginia, has one of the album’s best hooks, sung with a Roy Orbison-like quaver. Thielen spontaneously picked up a 12-string guitar lying around the studio on Russell’s “Your Mother’s Eyes,” a dreamy lullaby that imagines a girlfriend looking down at the baby they might one day have. “It was a magical, soupy mess,” Thielen says of their long, collaborative studio process. In truth, some of the tracks are more mess than magic. The twee, anthemic “City of Angels” lands somewhere between the Limelighters and the Archies, and “Turn It Around” evokes the ’70s pop of the Jackson Five. “Oh, My Dear” could easily have been omitted. The healing hymn that so effectively closes the album, “Signs of Light,” was ironically written by the now-absent Johnson, who was ejected after the band decided he had become unreliable. Will Johnson come back to the fold? Thielen is convinced he will.